Now that the federal government is cracking down on the prescription of opioid painkillers, Americans are rightfully concerned that some patients with legitimate needs for these drugs may be left to suffer. Government policy, even with the best intentions, can overlook the complexities of individual circumstances in favor of blanket rules to address problems in public health. This is not just the case with government’s response to the American opioid abuse epidemic; it was also the case with the bad government policies that contributed to creating and worsening the crisis in previous years. This history should make us wary of government’s increasingly heavy hand in health care. Of course, multiple complex factors contributed to the widespread challenges with addiction and overdose that our nation now seeks to address. No one actor or trend is completely to blame. But it’s important for Americans to understand that the initial over-prescription of opioid drugs was no accident. For one thing, the Veterans Health Administration was one of the earliest adoptersof a pain management strategy called “Pain as the Fifth Vital Sign,” originally advocated by the American Pain Society. The intention was good — to ensure that patients don’t suffer unnecessarily. But there’s now widespread agreement that pain should never have been treated as a vital sign and that, sadly, this assessment and treatment protocol contributed to the over-prescription of opioid painkillers. Doctors outside of the VHA system faced pressure from the government as well: The Center for Medicaid and Medicare Services included questions about pain management in patient satisfaction surveys that were linked to payment, encouraging a standard of patient-pleasing over good medicine. This — along with the example set by VHA policy — fostered a culture that encouraged health-care providers to offer pain-relieving prescriptions, popular with patients, without adequate regard for the potential long-term consequences. Fortunately, these survey questions have been removed. Since 2001, the JC has issued pain management and treatment standards. As late as 2016, health providers and advocates were still petitioning the JC, saying that its standards “encourage unnecessary, unhelpful, and unsafe pain treatments that interfere with primary disease management.” In January 2018, the JC finally issued new guidance that would attempt to address these concerns. As a final example, take the Drug Enforcement Agency. The DEA sets quotas every year for all Schedule I and II drugs and consistently raised opioid quotas even when prescriptions were at an all-time high. The regulatory agency cannot pretend to have been left in the dark about the opioid crisis. Each of these examples of well-intentioned — but ultimately bad — policies should give us pause when we consider other proposed changes to our health-care laws. 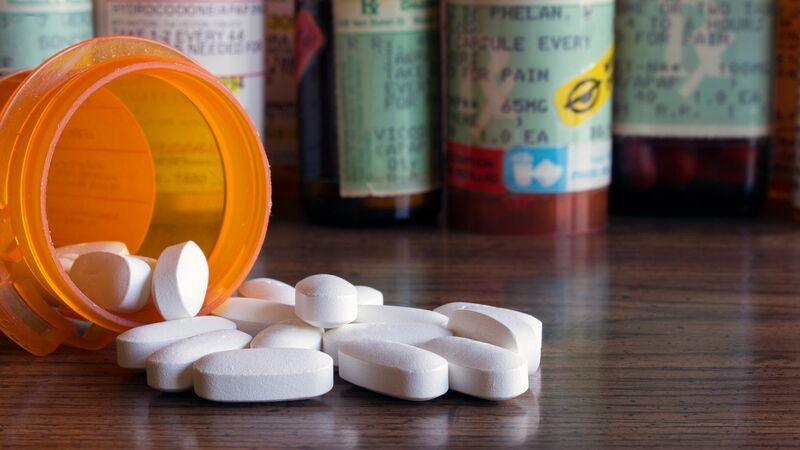 There are patients with legitimate needs for opioid painkillers, including many who suffer from chronic pain and other conditions for whom painkillers are a necessary part of treatment. These patients are now worried that by focusing on the population at large rather than individual needs, Uncle Sam will go too far in restricting access to the drugs they need. We should have had the same concern about over-standardization when government policy was fanning the flames of the opioid epidemic. When veteran’s health programs, other government insurance plans, and accreditation boards have outsized power and influence, their bad decisions can wreak havoc. Instead, we should protect the freedom of individual actors: patients and doctors who make clinical decisions and private insurance providers who compete and offer support for a variety of approaches. Our public health crisis in opioid addiction is, in part, the sad result of government policies with good intentions but harmful consequences. This should be a powerful warning against enabling government to make sweeping decisions about our health going forward.